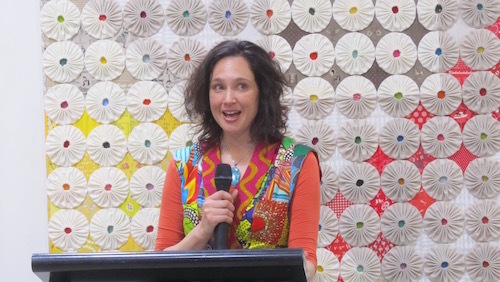 This is a selected exhibition of contemporary quilts to be held at Gallery M, Marion, South Australia in September 2019. It asks entrants to ‘Dare to Differ’ in their approach to a quilt – perhaps in theme, style, technique, materials, or even colour. It gives artists a chance to challenge themselves to unleash their creativity. 4. The work must possess the basic structural characteristics of a quilt and must be predominantly fibre comprised of at least 2 layers stitched together. It must not be framed or stretched on stretcher bars. 6. The selectors’ decision is final, and no correspondence will be entered into. Acceptance of an entry does not automatically guarantee display. 7. All entries must be received by the Convenor between Wed 24th July and Sunday 11th August. 8. All entries must have been completed in the 2 years prior to the exhibition. 9. Entries may have been previously exhibited. 10. A non-refundable entry fee of $30 for up to two entries is required. 11. Delivery and return instructions will be advised on acceptance of the entry. Selected artists will be responsible for postage and insurance to and from Dare to Differ. 13. Quilts may be for sale. 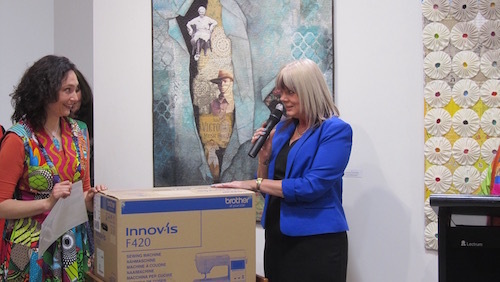 The Gallery will retain a 33% (includes GST) commission on each work sold during the exhibition. 14. The Quilters’ Guild of SA Inc reserves the right to photograph the quilts for Guild archives and other appropriate purposes.